Earlier today, I received an email from one of my subscribers informing me about a seminar he attended organised by GM Free Cymru. The event was part of GM Health Risk Week - a weeklong event held around the UK in which people apparently examined "health risks surrounding GM food". This is a very strange event to have in the UK considering no GM crops are being grown commercially here. However, the UK does import GM commodities including animal feed and, to a lesser extent, some imported foods, so perhaps there is a need for such an event. The seminar that my subscriber attended was hosted at the University of South Wales and chaired by the very Welsh sounding Emyr Jones. 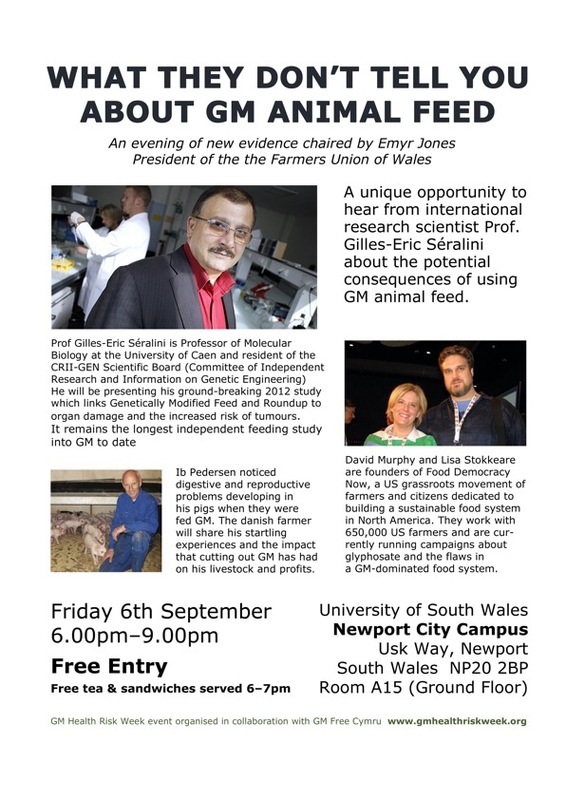 The poster for the event proudly proclaims that it was a "unique opportunity to hear from international research scientist Prof Gilles-Eric Séralini about the potential consequences of using GM animal feed." For those who don't know, Prof Gilles-Eric Séralini was the lead author of the highly discredited and, in my opinion, unethical paper “Long term toxicity of a Roundup herbicide and a Roundup-tolerant genetically modiﬁed maize". The paper clams to show a link between genetically modified food and Roundup herbicide to organ damage and increased risk of tumours. The poster however fails to mention that the sample size in the study was far to small and the strain of rat used is known to spontaneously develop tumours. The paper also shows that male rats drinking large quantities of Roundup will have a longer life expectancy however this is never mention by any one promoting this research. The poster also says that a Ib Pedersen (a Danish farmer) noticed “digestive and reproductive problems developing in pigs” fed on Roundup ready crop. Don’t worry if you have never heard of him because neither have I but apparently he published research in the highly respected, critically acclaimed farming newspaper Effektivt Landbrug. Coincidentally, Pedersen’s newspaper article claims seemed to back up the paper ‘A long-term toxicology study on pigs fed a combined genetically modified (GM) soy and GM maize diet’ and was, coincidentally, released after it. This paper in reality fails to show any link between GMOs and adverse effects and instead showed that a diet of GMO can actually prevent heart abnormalities by more than 100%. Again, this kind of information is never mentioned by people promoting this research. What the poster fails to mention about Pedersen is that the original article which shot him to fame in the anit-GMO community (Svineproducent høster gevinst af gmo-fri soja) never mentions any digestive or reproductive problems, but instead blames GM round up ready crop for lower milk production by the mothers and diarrhoea in piglets. The claims of digestive or reproductive problems, accompanied with graphic images of deformed piglets, came much later after he was interviewed by GM Free Cymru. As hard as I have tried, I have been unable to find the raw data that Pedersens claims are based on, but what I have found is more of Pedersens claims on the GMO health risk week website. These include the extraordinary claim that the same birth defects found in Pedersen piglets as a result of the Roundup he used is also found in humans that lived near to his farm. The massive hole in Pedersens logic here should be obvious to everyone. Roundup herbicide is not only used in large scale GM farming. It is popularly available weed killer and can be bought at most garden centres. It has been on the market since the 1970s (well before the introduction of GM-crop). The level of exposure by people using this herbicide at home is far grater than any exposure from Pedersen’s (or any others’) farm. If Roundup exposure did cause birth defects and digestive problems we would know about it by now. In closing, I think if this is the best that GM Health Risk Week can throw at us, then it shows how weak their arguments against GMOs are. I think it is high time that we stop treating events like this seriously and start to see them for the joke they are. If they want to be treated with respect and have a seat at the big boy table of science, then they must stop promoting thoroughly debunked research, and a man whose keep changing his claims. Then again they do have free tea & sandwiches. Said it before, I’ll say it again – if those opposed to GMOs were receptive to the evidence, then they wouldn’t be opposed to GMOs. The ‘science’ they produce is cargo cult science; by dressing it up in sciencey sounding terminology and using publication in ‘journals’ they can claim it’s just like regular science and on equal footing. These people have an ideological opposition to it and reason is almost impossible. You should fire your editor and give yourself a slap for so many errors, how do you expect people to take you seriously if you can’t even present a proof read article. I have read almost every study I could find that examined the effects on ingesting GM Corn. Every single one of them had negative results. One showed eating it would give liver disease, one showed reduced birth rates and higher mortality, another showed stomach inflammation, another showed mutation of cell nuclei, another showed, kidney problems, organ growth, negative effects on immune system, granular degeneration, and other negative effects. Myles needs to read some of them before he makes idiotic accusations. GMO ARE TOXIC AVOID AT ALL COSTS. DO NOT LISTEN TO THIS IDIOT. Myles Power admitted Forbes that he was “Intellectually Incompetent and dishonest” DO NOT BELIEVE A WORD HE SAYS. Maybe you should read some real papers, but I believe that this would not even make any difference since there’s people that can’t distinguish between a good article and a bad one, not even recognize a good publisher from a new/not serious one. Here are some good studies on the field. Feel free to post links to those studies. Until you do they don’t exist. We can do this and I will make you look like the complete idiots you are. I will use the link you sent me and prove that not only are you incompetent but you have not even read any of the studies you claim supports your cause. The simple fact of the matter is I am smarter than Myles and all of you combined. My only flaw is grammar and punctuation might be an issue. . But no one is perfect and I have no problem admitting this. But lets go. I will take your failure to respond after a few days a sign that you agree with me but you are not man enough to admit it. So without further or do Let’s start the show. We will start with the 1st reference on the list. After about 15 minutes I have been unable to find the actual study. If you can find it please post but good like I well move on to the next one. Study #2 I actually did find. The results were cleverly designed to give the appearance that bt corn had positive results. Most people like your self probably do not understand how to read the results for themselves and think a Monsanto scientist saying the results were similar is enough for simple minded individuals. The Poultry that ate Non GMO Corn Laid 183% more Eggs than those who Bt176 Corn. Would you still like me to continue??? Or do you need time to read the study you claim to have already read and understood. I mean why else would you still support GMO. of Laying Hens and Broilers” summarizing Table 3. AlphaZulu from the Bt176 corn in poultry nutrition: physiological characteristics and fate of recombinant plant DNA in chickens. There is a difference between Bt and non-Bt corn in chicken feed. And it is the fact that the Bt corn has less of the Fumonisin toxin in it. See “Effect of Bt corn on broiler growth performance and fate of feed-derived DNA in the digestive tract.” In the Bt corn you get less corn borers, which equals less holes in the corn, which means less infection with molde which means less Fumonisin. And that mean less kidney and liver damage in the organisms that eat the corn. 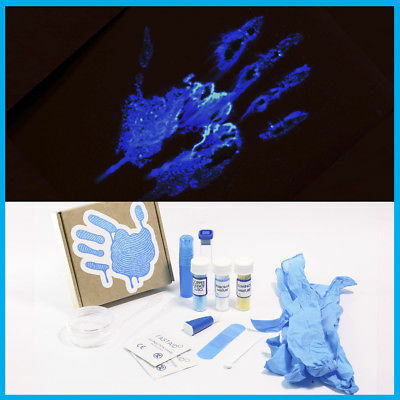 Bottom line – in this case we have a GM product that is much healthier and safter than its non-GM counter part. Great entry Milyes, it’s a shame that this kind of people have this kind of opportunities to do this, but when it comes to real scientist there’s no so much interest since it’s not in the way of the common popular opinion. Me and some others biochemist and chemist from all the country have been trying to make some efforts to do something about it, but it doesn’t seems to work, since there are also biochemist that are against GM because of ideological motives. When Myles becomes a real scientist let me know. From what it looks like his target audience is 8 year old kids. Myles, why has the Sprague Dawley breed of rat been bred to grow tumors as they age? This characteristic must be a﻿ tool for science, but I﻿ can’t fathom what that may be.